As a result of leaping again before he had a chance to complete his original mission, Sam finds himself leaping back and forth through the life of Lee Harvey Oswald. 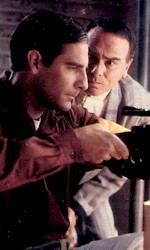 Following the sole assassin theory, Sam and Al attempt to prevent Oswald's attack on John F. Kennedy. But, with each leap giving Oswald more control over Sam's body, history seems doomed to repeat itself.